Sponsorship of special projects or donations is another option for companies or individuals wishing to support the Limerick Civic Trust. 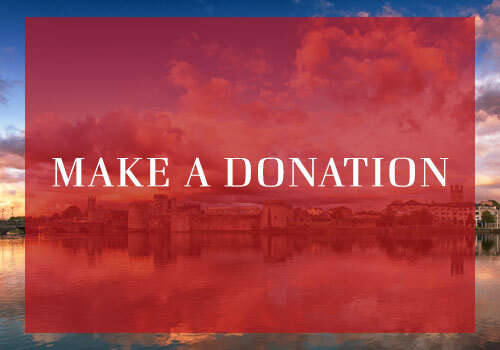 Limerick Civic Trust is a Registered Charity CHY 6717 with Revenue Commissioners. The Trust has been approved as an eligible charity for the purposes of Section 45 of the Finance Act 2001.